Expression of the Pirelli "Green Performance" philosophy: a perfect synergy in terms of performance, safety, driving pleasure and attention to the environment. 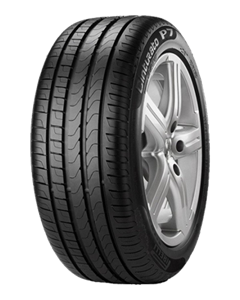 Cinturato P7 is the right choice for drivers looking for a high performance and eco-compatible tyre for medium to highpowered cars. Innovative and advanced hybrid material Balanced pressure distribution. Four wide longitudinal grooves. Excellent water expulsion.Outstanding safety and control in potential aquaplaning situations.